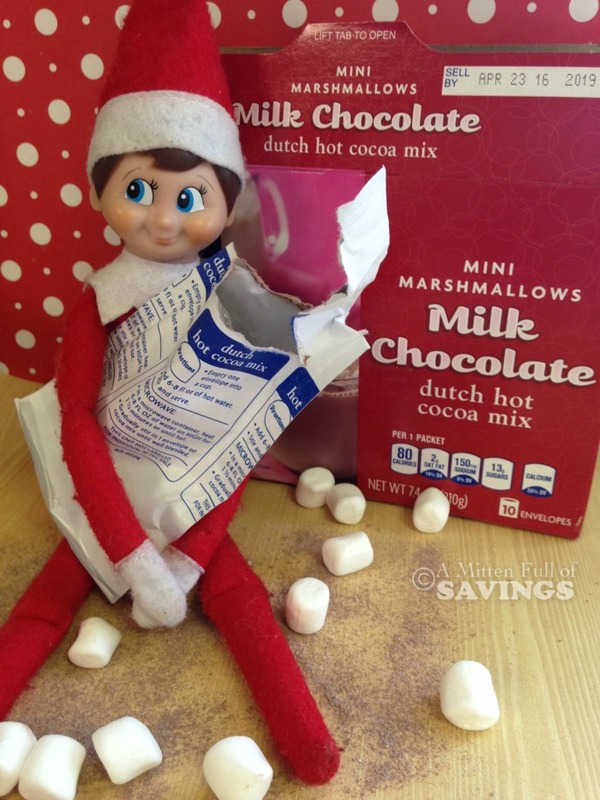 Make hot chocolate with Elfie. Just grab some marshmallows and hot chocolate and you’re good to go! You can get your own Elf on the Shelf from Amazon. Join in on the Elf Fun with so many ideas posted below- Follow our Elfie on his journey and find other Elf on the Shelf ideas in our Elf on the Shelf section on my blog! Of course your Elf will need accessories. Check out the list of accessories you need to amp up the Elf on the Shelf fun!